What Army fans need to know as the Black Knights head to ACC country in search of their first victory. Who, where, when: Army (0-2) at Wake Forest (2-1), Saturday, 12:30 p.m. Eastern. Army’s winless at Wake in five tries. TV: ACC Network (check here for stations in your area; Steve Martin and David Archer have the call). Also on ESPN3. Gambling is illegal in most states: Wake Forest is a seven-point favorite. Big play day? Wake is coming off a 52-0 demolition at the hands of ACC rival Florida State, ranked fourth in The Associated Press poll. Big plays did in Wake Forest early in that contest — down just 7-0, Wake gave up a 60-yard punt return for a touchdown and scoring runs of 74 and 80 yards. Unfortunately for Army fans, Army’s offense didn’t show big-play potential despite scoring 40 points in last week’s loss; the longest play of the day was a 28-yard scamper by sophomore running back Terry Badgett. Worse news for Army: Badgett carried only three times before going down to an injury and didn’t practice Tuesday. Finding pressure. 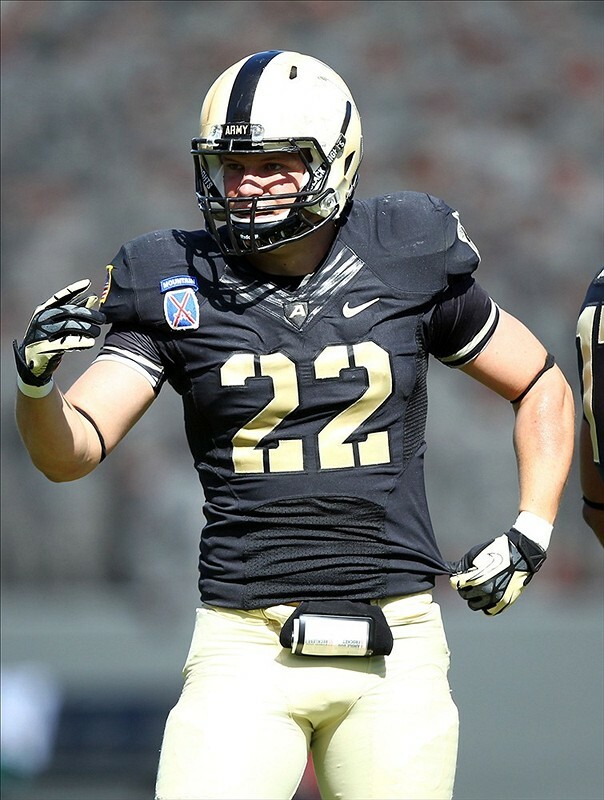 Army’s defense has managed two sacks all season, both coming from senior “bandit” linebacker Nate Combs. The Demon Deacons have allowed six sacks this season and have only one returning starter — center Garrick Williams — on the offensive line from last year. Army’s defensive front will need to break through to rattle Price, even though he’s rarely rattled — he averaged only one interception per 70.3 pass attempts last year. Positive option? With three rushers topping 100 yards last week, it appears the Army option attack has found some rhythm after a disastrous opener at San Diego State. Good news for senior Trent Steelman and company — Wake is 3-5 against option-heavy teams since 2002, going 3-3 against Navy and 0-2 against Georgia Tech.